Sapochnik is best known for his take on 'Game of Thrones' epic battles. As “Game of Thrones” Season 8 is about to start its production this year, little details about its final chapter are now emerging online. The television show’s swan song is said to be released in 2019, so it will be a long wait for everyone before they will finally see what it has to offer. However, the agony of waiting will be surely worth it with the return of one of the series’ best directors. Miguel Sapochnik, the filmmaker famous for directing the series’ most epic battles, is set to take the directorial seat once again for the last time. Miguel Sapochnik directed the acclaimed “Game of Thrones” Season 5 episode 8 “Hardhome,” where Jon Snow (Kit Harington) came face-to-face with the Night King (Richard Brake). 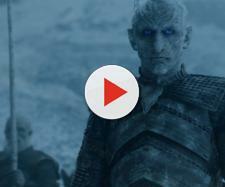 The two epic battles in the previous season, “Spoils of War” and “Beyond the Wall” were directed by the newcomer Matt Shakman and the veteran director Alan Taylor, Vanity Fair reported. 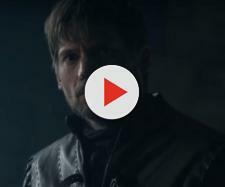 Shakman received rave reviews for the episode where Jamie Lannister (Nikolaj Coster-Waldau) saw Drogon, Daenerys Targaryen’s (Emilia Clarke) dragon, for the first time. However, Taylor’s take on the final episode got a number of complaints. Some said that it was far from Sapochnik’s take on directing epic battles, which fans used to see. In fact, even Neil deGrasse Tyson shaded the gaps in the episode. So, fans who have remembered Miguel Sapochnik and his take on the television show’s epic battles will be surely excited in his return to “Game of Thrones” Season 8. The television show, which is based on George R.R. Martin’s “A Song of Ice and Fire” series, cinematographer Fabian Wagner shared an old photograph on his Instagram account. In the snap, he was with assistant Caroline Alderson, VFX supervisor Joe Bauer, VFX producer Steve Kullback, and Sapochnik. Wagner hinted that they are now back on the set to prepare for the series’ final season. “The team is back together,” he captioned the picture. Although HBO has yet to confirm his return, the photo might be enough confirmation. It is not yet revealed how many episodes he is going to direct, but the usual number of episodes allowed is two.